Some of the world's most beautiful mountain terrain is protected within the 1,170 square miles of Yosemite National Park. Approximately a four hour drive from San Francisco, visitors flock from all over the world to descend upon this stunning park, each wanting to admire its breathtaking views formed by millions of years of glacial activity. The Park is the size of Rhode Island and has many, many incredible places to visit, the most popular are Yosemite Valley, Wawona and Mariposa Grove, Glacier Point, El Capitan, Half Dome, Tuolumne Meadows and Hetch Hetchy. The famous Tioga Pass that spans the Park from one side to the other, is a fabulous drive through alpine scenery, crystal blue lakes and grassy meadows. However, due to heavy snow fall, this pass is typically only open late May to mid October. Various accommodation options are available in and around the park. Call Bon Voyage to discuss the best options for your holiday. Located in the scenic Sierra Nevada Mountain range, south of Yosemite National Park, Sequoia & Kings Canyon National Parks are adjacent to one another. Lush forests, granite peaks and glacier-carved canyons are rich with wildlife and not as busy as Yosemite. 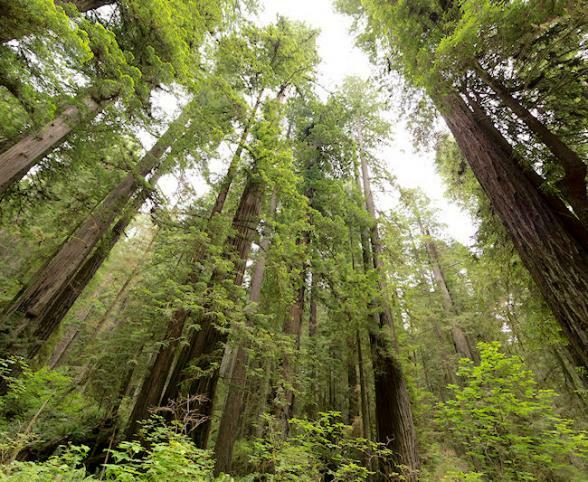 The parks are most famous for their giant sequoia trees, the earth's largest living species. You'll be particularly impressed by General Sherman. 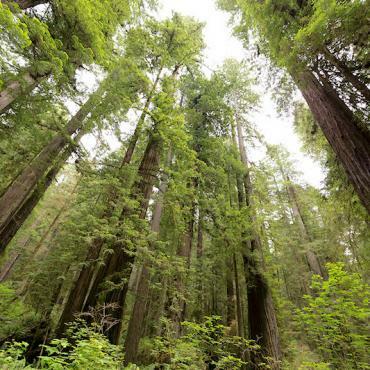 In tree terms, by volume, it's the largest tree in the world at a height of 275 feet. Towering Mt Whitney, the highest mountain in the contiguous 48 states, watches majestically over these parks. America's deepest canyon, the Kings Canyon was formed by the King River. Canyon walls rise over one thousand feet each side with granite cliffs and beautiful waterfalls. Parks are not always accessible year round, so please call to discuss your travel plans. Yosemite Mariposa County is a destination perfect for every season. Let Bon Voyage include this five night Yosemite experience as part of your next holiday to California. Travel from San Francisco to the Sierra Nevada, embracing Kings Canyon, Sequoia National Park, and Yosemite. Experience glacier-carved mountains, soaring redwood and sequoia forests. Historic, national landmark dating back to 1927 with views of Half Dome, Glacier Point and Yosemite Falls. Rooms are 'National Park rustic', but it isn't so much about the room! Enjoy all the comforts of home in an intimate rustic log cabin for two or a spacious home the whole family will adore. The close proximity to Yosemite's many waterfalls, make this is an ideal base for exploring. Location, location, location! Perched above the Merced River, the view from your balcony is what it's all about. Guest rooms are in keeping with the Victorian era which means no televisions or phones. Now you're really getting away from it all. Set in the forest with unforgettable views of Yosemite National Park these new exciting upscale Explorer Cabins offer privacy, all your home comfort and a private veranda.